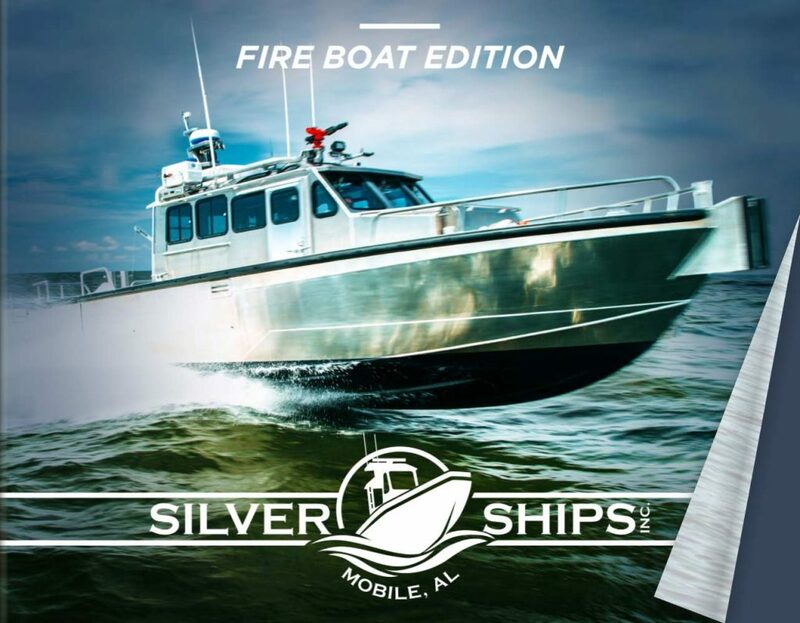 Silver Ships all-aluminum fire boats are designed and manufactured to accommodate individual fire-fighting systems and specific fire and rescue missions. A wide range of mission-specific fire boat vessels are built up to 65 feet in length, for use in both fresh and salt water fire and rescue applications. Silver Ships is a regular attendee of both FDIC and FireHouse Expo. Looking to invest in a fire boat, but need assistance when it comes to funding? There are various grants available according to your department’s circumstances and needs. This is a 34′ multi-mission vessel designed for firefighting, search and rescue and patrol located on Lake of the Ozarks in Missouri. Everything a fire boat should be. Silver Ships fire boats are built with safety and durability in mind. With the capability to transport crew and patients safely from water to shore and advanced technology for remote fire monitoring, our vessels are ready for fire and rescue action. Propulsion systems from outboard, inboard, direct drive or waterjet configurations are available. 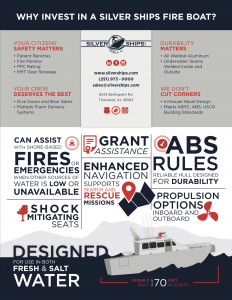 The robust Silver Ships team and its industry-leading boat building facility allows for customization to create a fire boat fit for any mission or operation. Request a quote.